It’s that time of year again when photographers try to find interesting holiday light displays. I always look for the older and wealthier homes as they tend to have more organized displays. It seems like suburban homes are often about buying as much stuff (lights, inflatables, etc.) and covering the entire property Griswald style. It gets to be an eye sore at least for photography. See the full gallery of Christmas 2014 here. 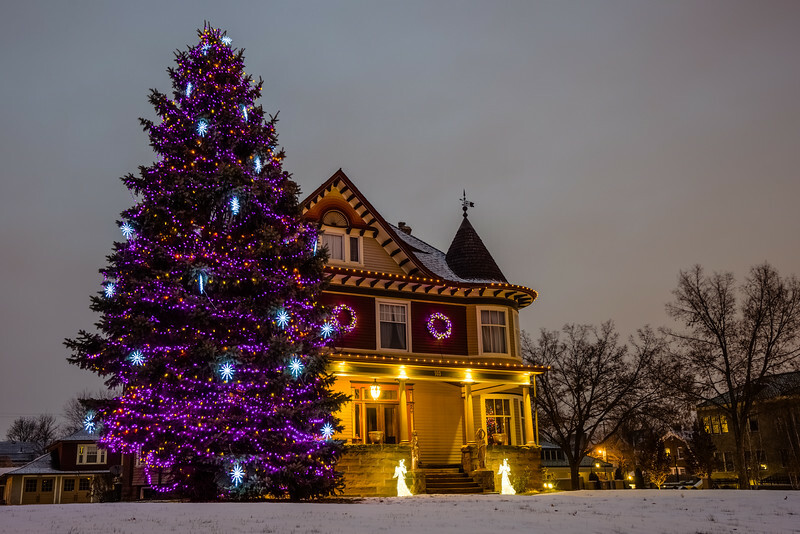 Summit Avenue in St. Paul with one of the best lit trees around. 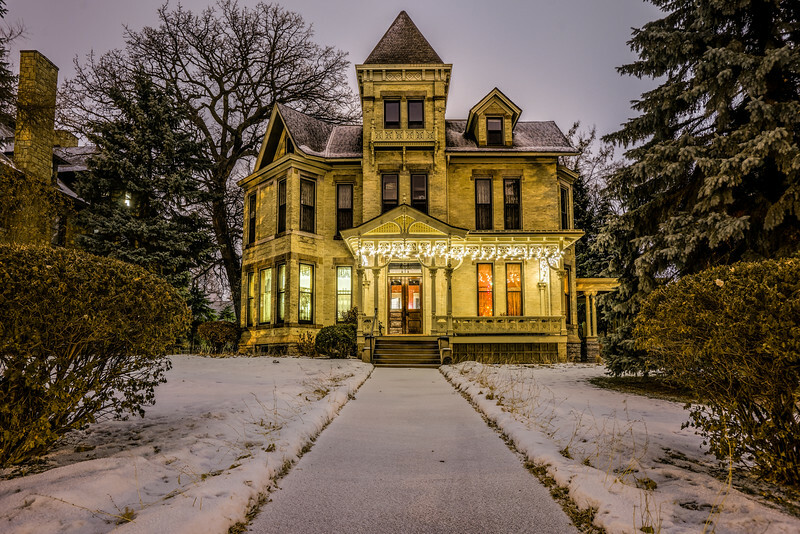 Summit Avenue in St. Paul is a wonderful light for holiday displays. From the Governor’s Mansion down to the Cathedral of Saint Paul there are some nice looking light displays. For a few days the snow melted but we’ve got a thin layer currently. I may try to get a couple more shots this weekend if possible. A simple yet elegant display. See the Christmas 2014 gallery here. Nice examples of decorations. It’s a lot of work to decorate that tree! I bought one 12 meter string with colored LED lights, but haven’t put it up yet. My idea was to use it for photographing. 🙂 I don’t envy anyone decorating a tree like that. I have a tough enough time with the fake one inside! Yes, we also have a fake one. I’ve postponed putting it up, so today is the last chance!